Trips have the power to change our lives. They teach us about ourselves, push our limits, and force self-reflection. We love to travel because of the power it has on us. Sometimes trips cause such a powerful emotional reaction that we want to immortalize or commemorate the memory. Often, just the memories are enough to honor this life changing trip. Other times, we need to recreate it in some way. 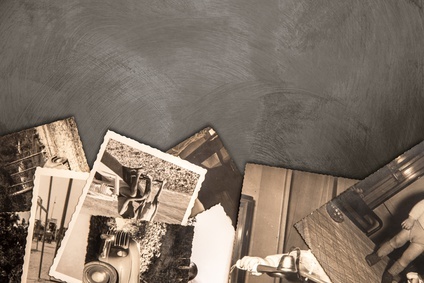 Here are a few ideas on how to turn this cherished memory into something concrete. The simplest and obvious choice to commemorate your trip is a scrapbook. Scrapbooks allow us to engage our most creative side by combining imagery with symbols. Start your scrapbook project by gathering all the important items from your trip, such as pictures, tickets, flowers, etc. Next, divide them into piles. Try to examine the piles for patterns, so that you can make some of the pages themed based. . Prior to your trip, plan to bring a journal on it. Buy a brand new blank journal that you plan to only fill with stories about your trip. Every night, rehash as much details as you can about it. Therefore, when you read your journal back years later, you can recall the memories. Before the trip, plan to take as much phone footage as possible. Do not spend the entire trip behind a smartphone. Instead, take a short minute or two video at every new spot. The videos help you remember the details of your trip better. Upon returning home, place the video clips together into a short trip tribute video. If you have enough footage, share the video with your friends. You can also just keep it as a personal souvenir that only you watch. We learn new traditions and customs every time we travel. Maybe you want to incorporate one of them into your daily routine. For example, maybe you really enjoyed siestas in Spain. Now, you plan to incorporate them into your routine, after work or on the weekend. Or you found relaxing under the stars on an outdoor hammock so enjoyable that you just need one for home! Well, why not?! Get a tattoo to create a permanent memory of the trip. Pick a symbol that you feel really represents your adventure and spiritual journey. For example, maybe you saw geckos for the first time on a trip to New Zealand. Get a small tattoo showing the gecko, but not just because you saw one on the trip, but what the gecko represents to you: evolution. Caution: remember that you can always get it removed if you end up hating the final product. However, try to make sure that you want to commit to a tattoo before you get it. Trips provide us with so much self-reflection that we often want to keep that feeling inside of us all the time. Therefore, the true best way to honor a life changing trip is to take more of them.